Regal Bulk Crushed Red Pepper - 25 lb. Choose Regal bulk 25 lb. 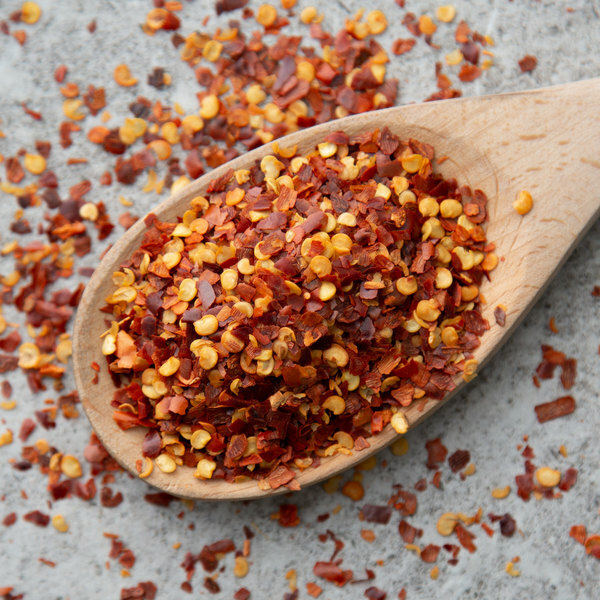 crushed red pepper to jazz up signature dishes at your foodservice establishment. A staple in every pizza parlor, Regal bulk crushed red pepper is usually found alongside garlic powder, parmesan cheese, and oregano. 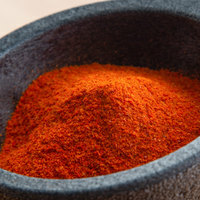 Derived from the same species of pepper as the cayenne pepper, this spice comes from the dried pods within the pepper. This seasoning is perfect for spicing up soups, marinades, and cheese sauces, and is also a delectable counterpart to creamy dishes and curries. Whether you run a pizzeria, Italian restaurant, bar, or upscale bistro, crushed red pepper is sure to keep guests happy. 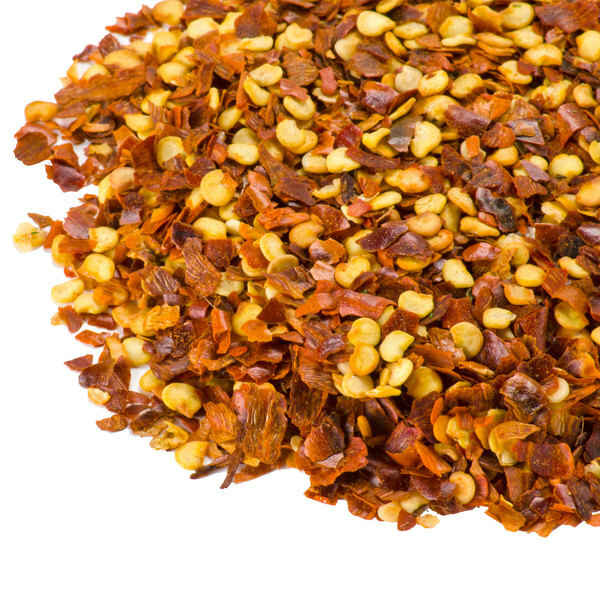 "I use a ton of crushed red pepper in my recipes and find that this is the best value out there. I won't be purchasing from other local spots due to price and quality." Hot and flavorful, this flaky red and orange spice includes pepper seeds for even more texture and flavor. Please note that a small amount of crushed red pepper will go a long way. It is recommended that you use no more than 1/4 tsp. per 4 servings of the dish you're preparing. 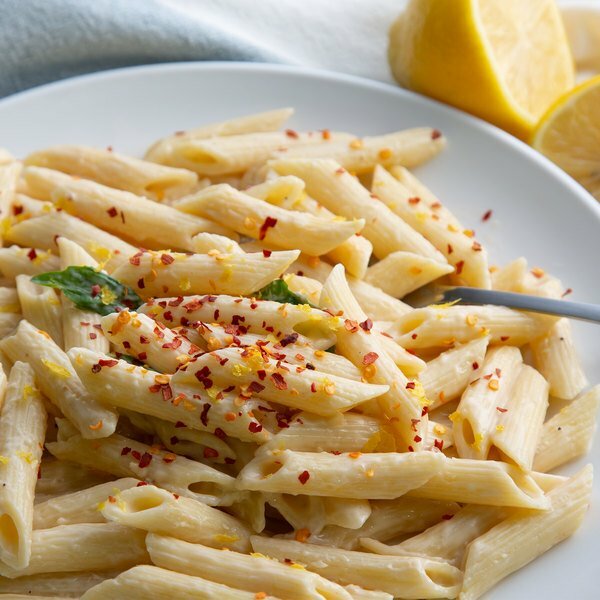 Commonly found in spaghetti and pizza sauces, you can also sprinkle red pepper on omelets or in zesty Italian dressings. 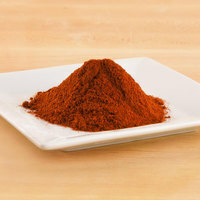 This spice is the perfect addition to your kitchen or front-of-house tabletops and condiment stations. This 25 lb. 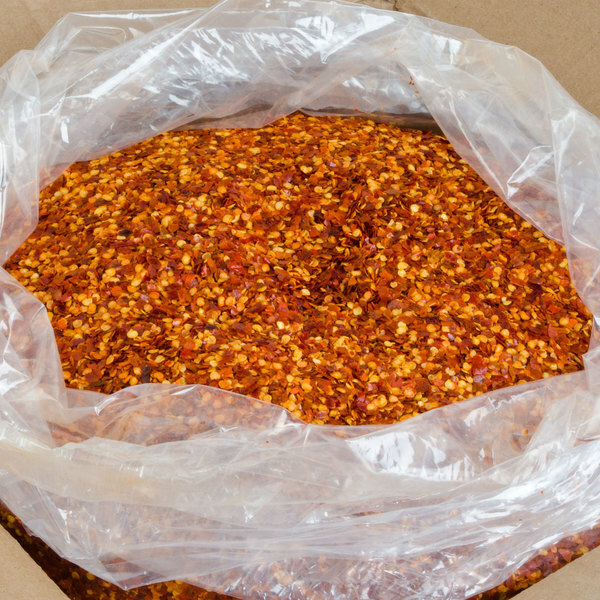 bulk bag of crushed red pepper is a cost-efficient option for high-volume kitchens and can easily be portioned into smaller quantities. 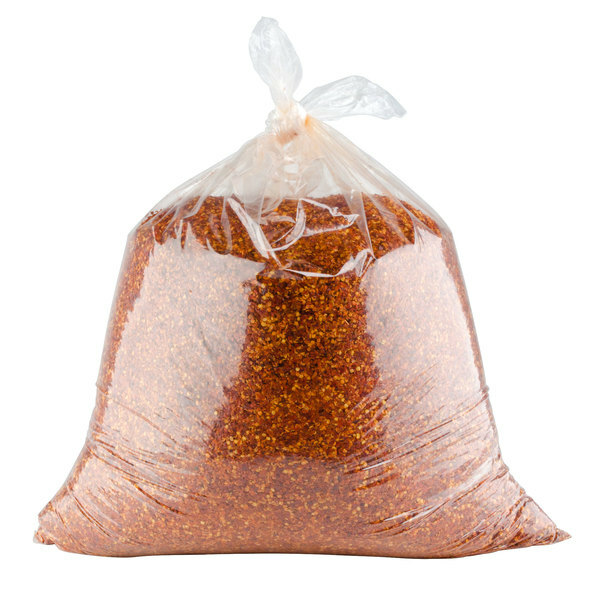 Item #: 102707806 Regal Bulk Crushed Red Pepper - 25 lb. 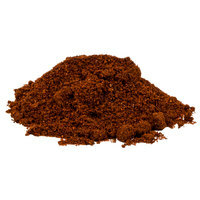 Item #: 10201059 Regal Bulk Fancy Paprika - 25 lb. Item #: 102708132 Regal Bulk Chili Powder - 25 lb. Item #: 102708450 Regal Bulk Chipotle Powder - 25 lb. Overall User Rating: Regal Bulk Crushed Red Pepper - 25 lb. We have a pizza shop so we obviously use a lot of crushed pepper. I have been really happy with the price and quality from the Regal brand. Yes, there is a big difference in crushed red peppers, this one is the real deal, bright red not like others that are light and usually tyhe bottom of the barrel left over after they dry it out, strong. It was a GREAT price for good quality crushed red pepper. I use it for sauce mixes. Glad it shipped quickly. I would recommend getting a smaller container so you can refill. Comes loose in a big plastic bag. This is a lot better product than I expected. It is fresh and you don't need a lot of it to make your dishes taste good. This is great for pizza, sauces and many more items. The 25 lb. package is great and it will save you a lot of money. You won't find it cheaper than on Webstaurant. I love the Regal line of spices and herbs. They are always a great value, full-flavored, and rich in color. They are superior to the generic brand spices I would normally buy locally. I love being able to buy my spices is such large bulk boxes that helps save us money. The crushed red pepper is so bold and flavorful. A great addition to pizza or bread dipping oils. I love these. Everyone enjoys these but they are my personal go to for spice. You can make a dish without any heat and then allow people to use these to add their own personal desired amount. These are good on pizzas, breads, pastas, falafel, eggplant, veggies, and oh so much more. Owning a pizza business, red pepper flakes are a must! This product is awesome, and allows us to have plenty on hand without taking up a lot of shelf space! This is a very nice products. Beautiful and cheap. I would recommended. The chilli crush help pizza taste better and have a little kick to it. I use a ton of crushed red pepper in my recipes and find that this is the best value out there. I won't be purchasing from other local spots due to price and quality. 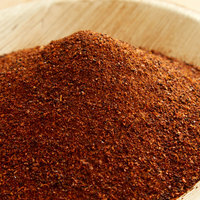 The Regal bulk crushed red pepper is an extremely economical choice. The product is delivered in a large bag within one box. Therefore, we have to break this down into re-purposed containers so that use is less cumbersome, but for the price it is well worth it. The flavor is acceptable; not overpowering but not too bland that customers blow through it. At a pizza restaurant, we go through a lot of red pepper flakes. This is the same red pepper we've always used, but WEBStaurant was able to save us about 15% on the cost! regal has a lot of cost effective spices, and for 25 pounds this crushed red pepper is unbeatable. the flavor is great and it will not disappoint.